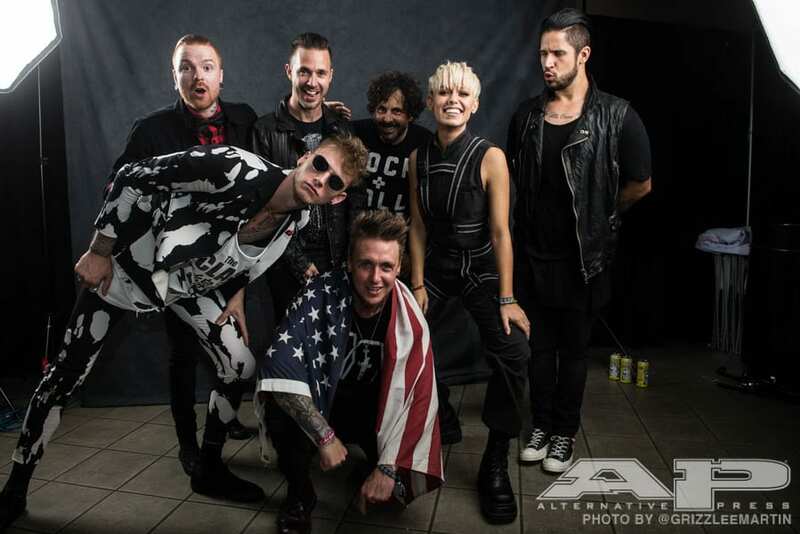 Matty Mullins, Jenna McDougall, Machine Gun Kelly and Papa Roach get patriotic in the 2016 APMAs backstage studio. 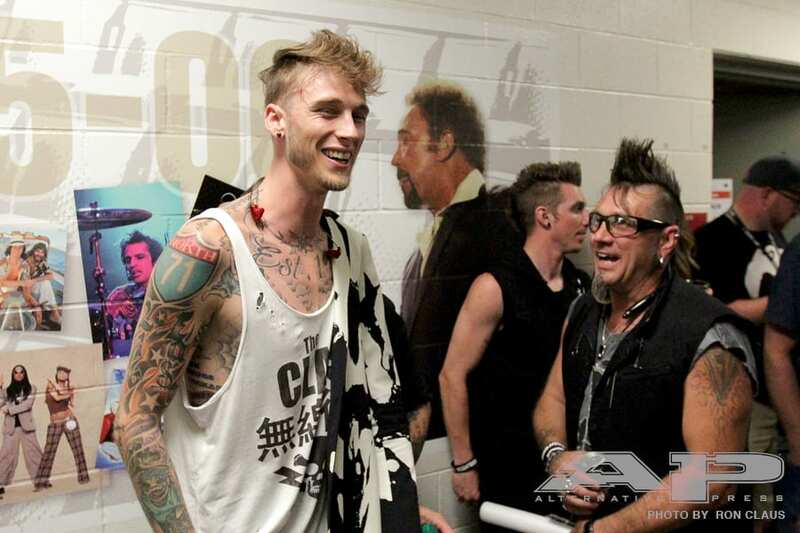 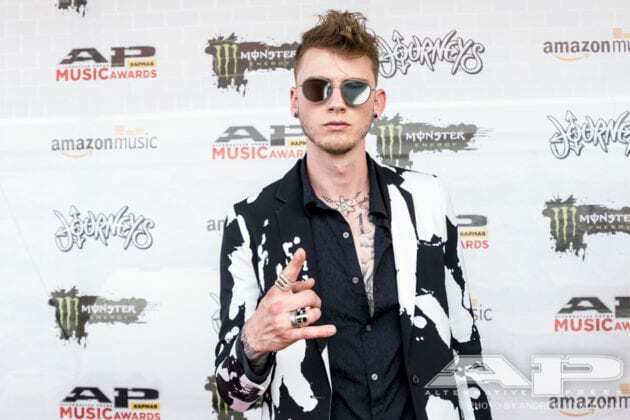 Machine Gun Kelly relaxs backstage before the big show. 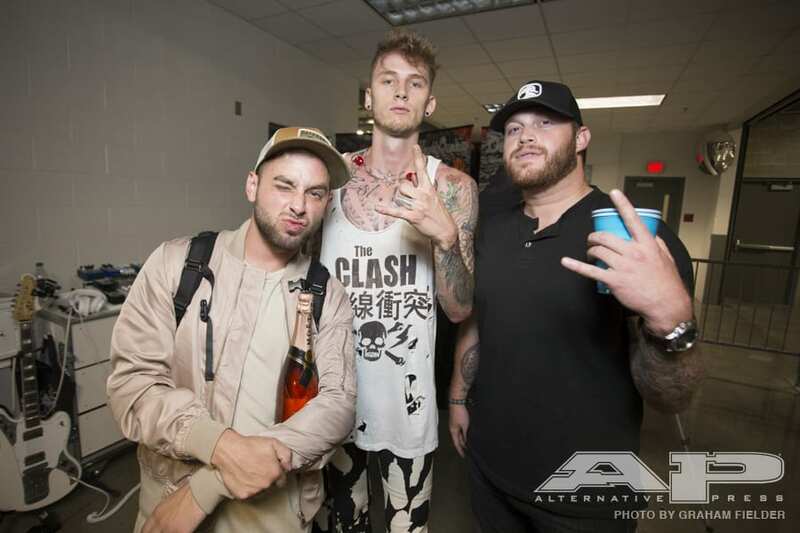 Machine Gun Kelly poses with Tyler Carter and Jon Langston backstage. Papa Roach rehearse with MGK for the 2016 APMAs. 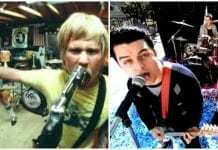 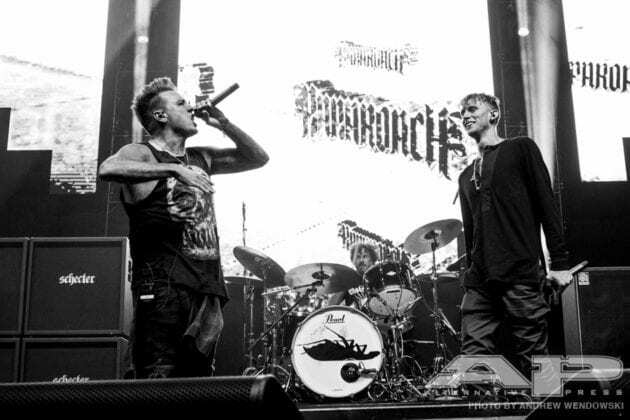 MGK rehearses with Papa Roach. 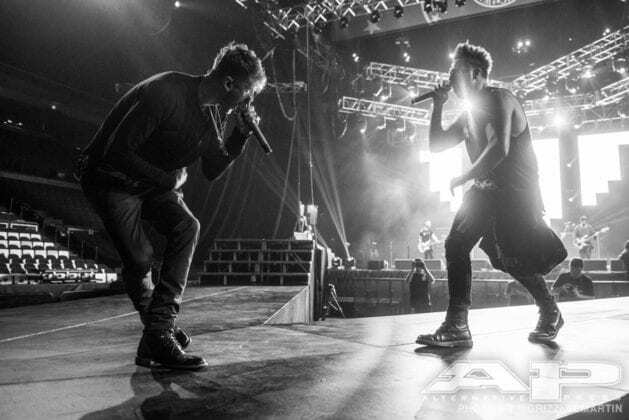 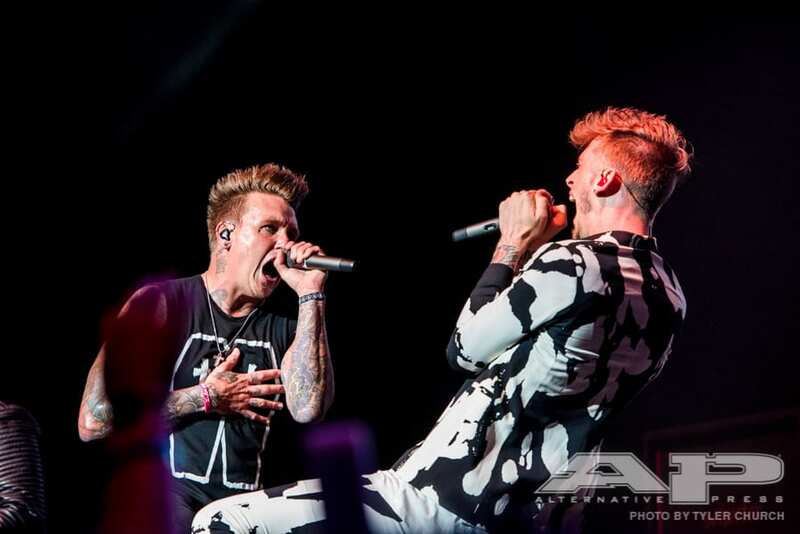 Papa Roach and MGK rehearse for the 2016 APMAs. 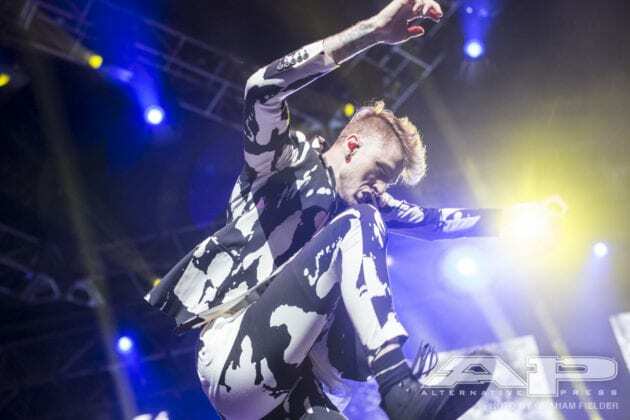 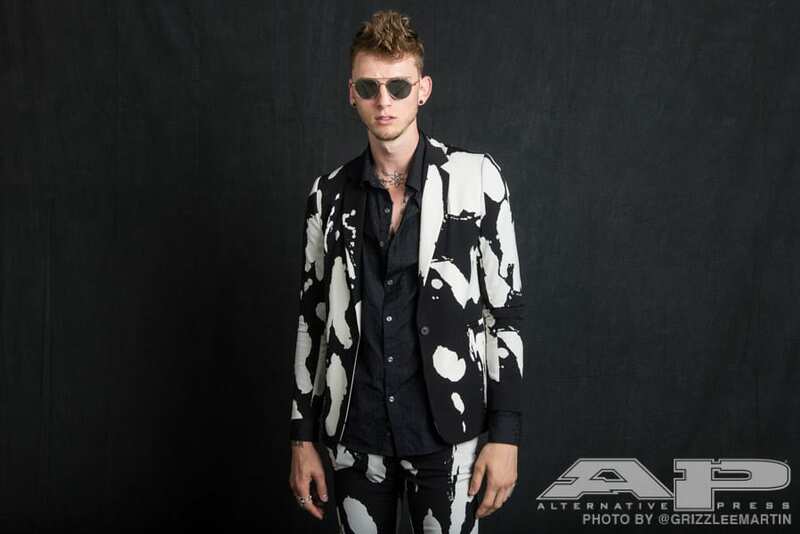 Machine Gun Kelly shows off his slick suit in AP's backstage studio. 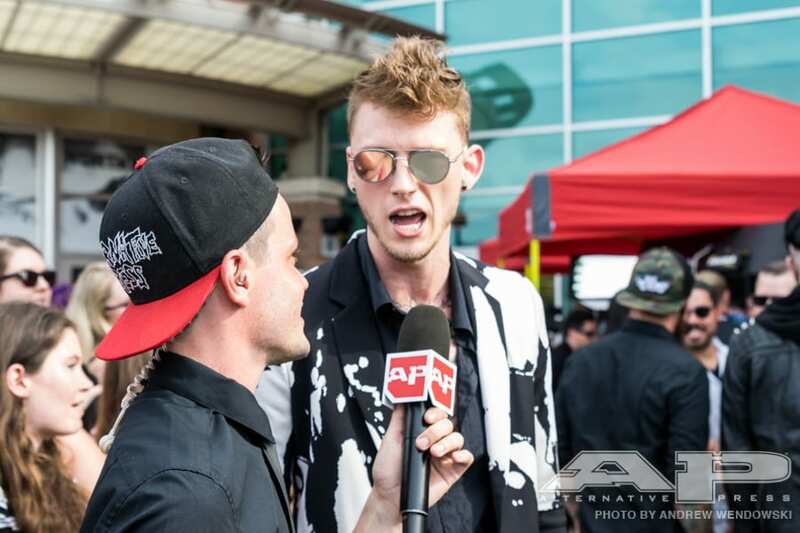 MGK answers Nick Major's most pressing questions on the APMAs red carpet. 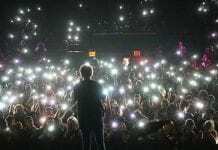 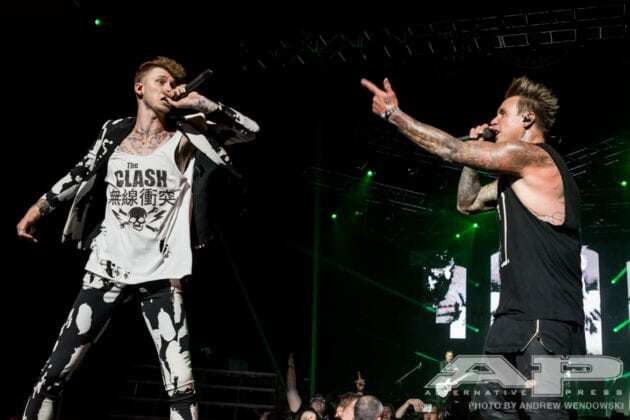 MGK performs "Last Resort" and "Til I Die" with Papa Roach. 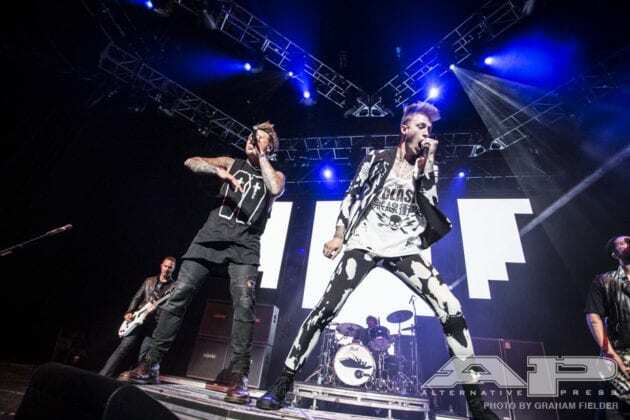 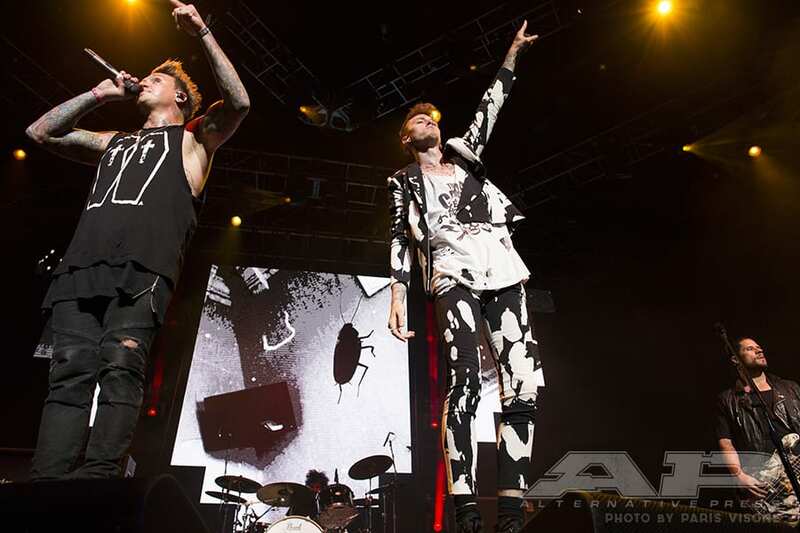 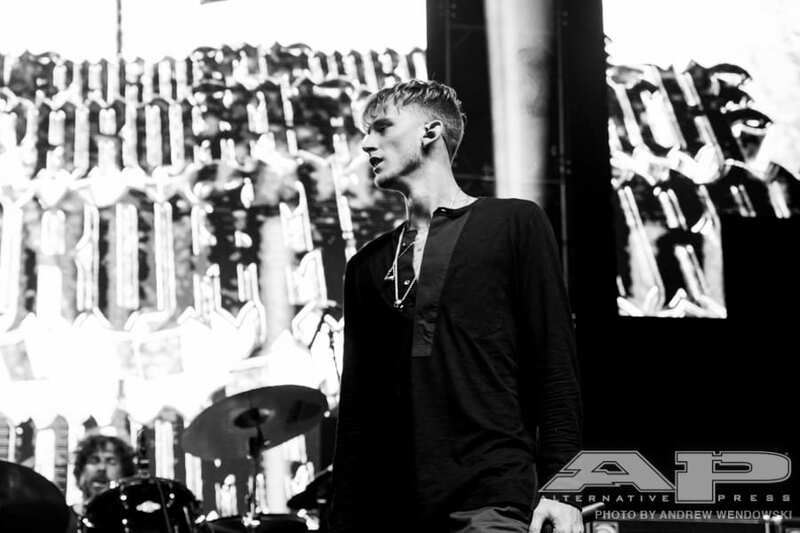 Cleveland's Machine Gun Kelly performed part of his anthem "Til I Die" and Papa Roach's "Last Resort" at the 2016 APMAs. 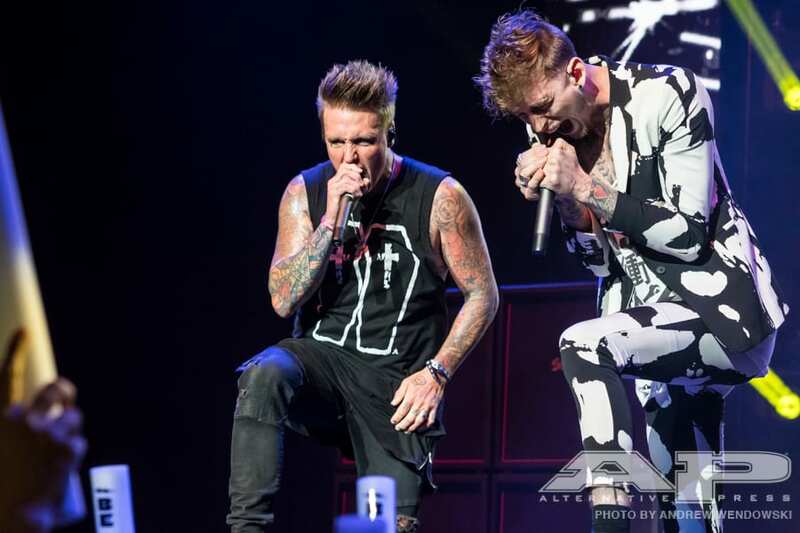 Machine Gun Kelly goes hard during his performance with Papa Roach. 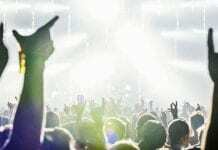 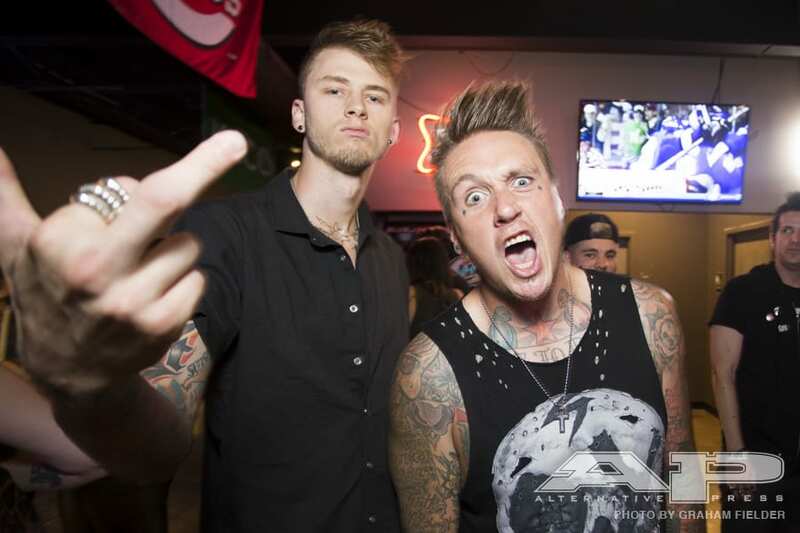 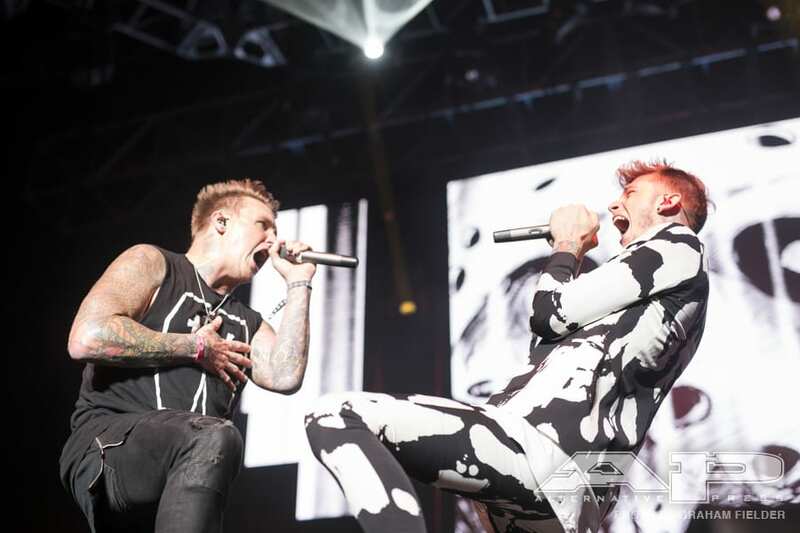 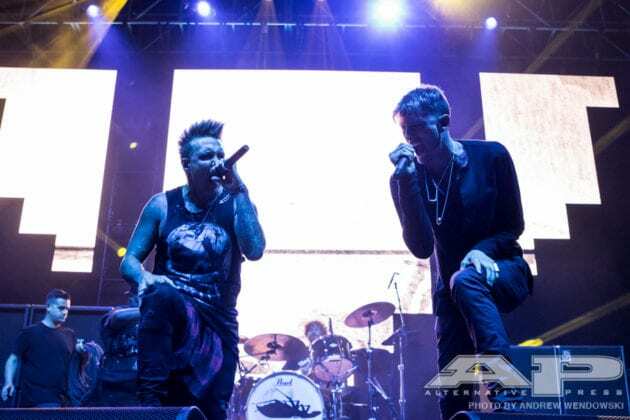 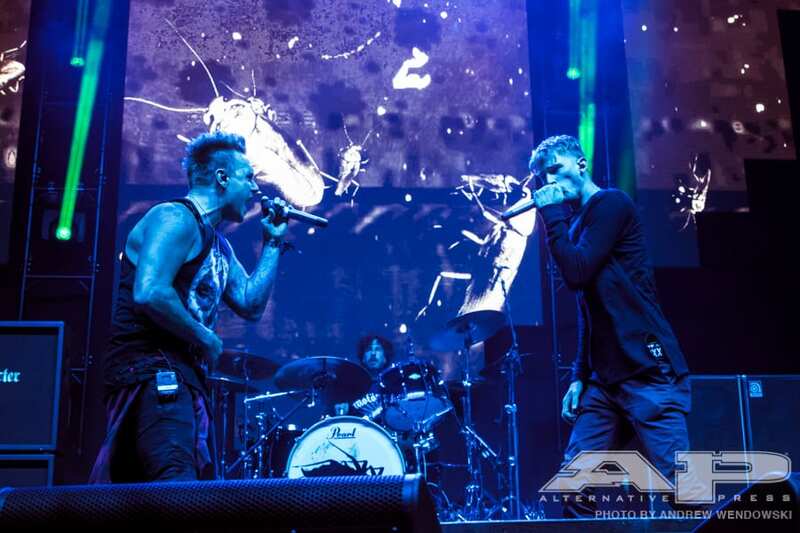 Papa Roach and MGK perform together. 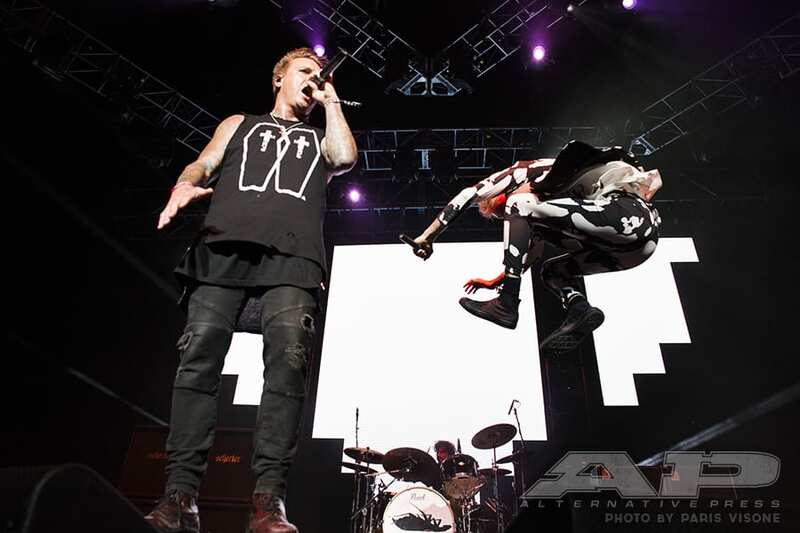 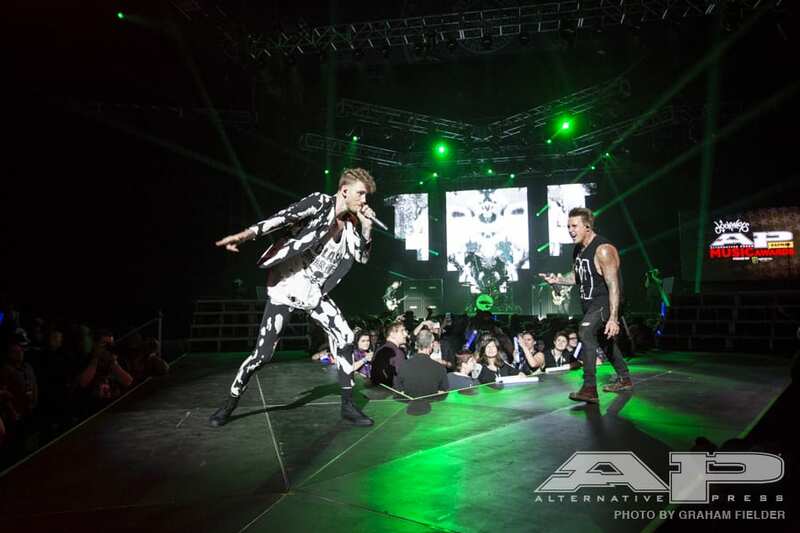 Cleveland's Machine Gun Kelly performed part of his anthem "Til I Die" and Papa Roach's "Last Resort" with Papa Roach at the 2016 APMAs. 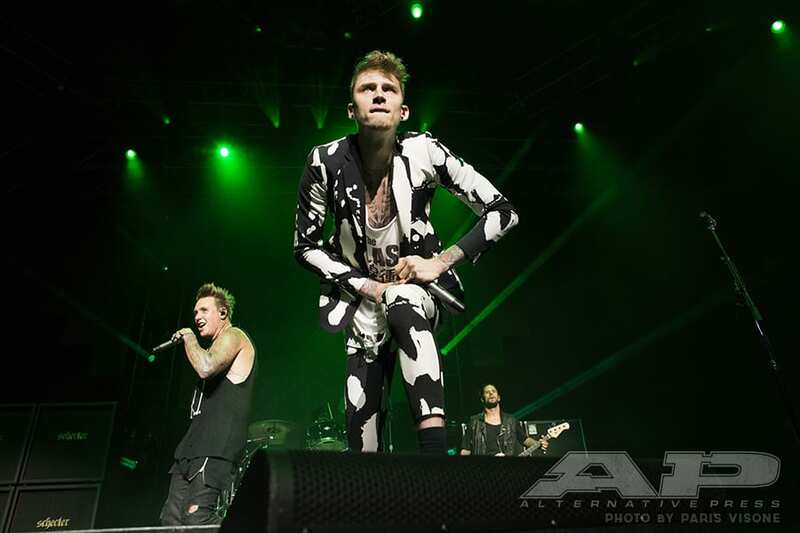 Machine Gun Kelly gets a good look at the crowd during his set with Papa Roach. 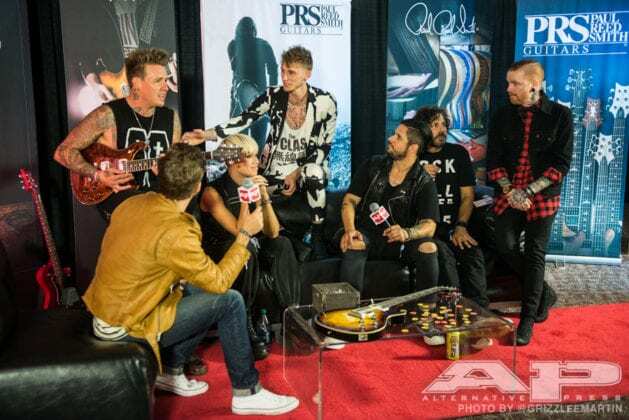 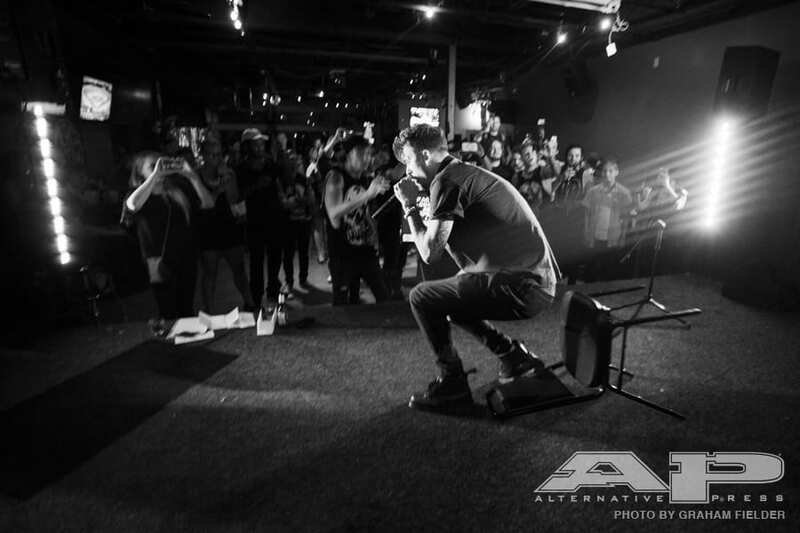 Papa Roach, Jenna McDougall, Matty Mullins and Brian Dales get acoustic in the PRS Backstage Lounge.